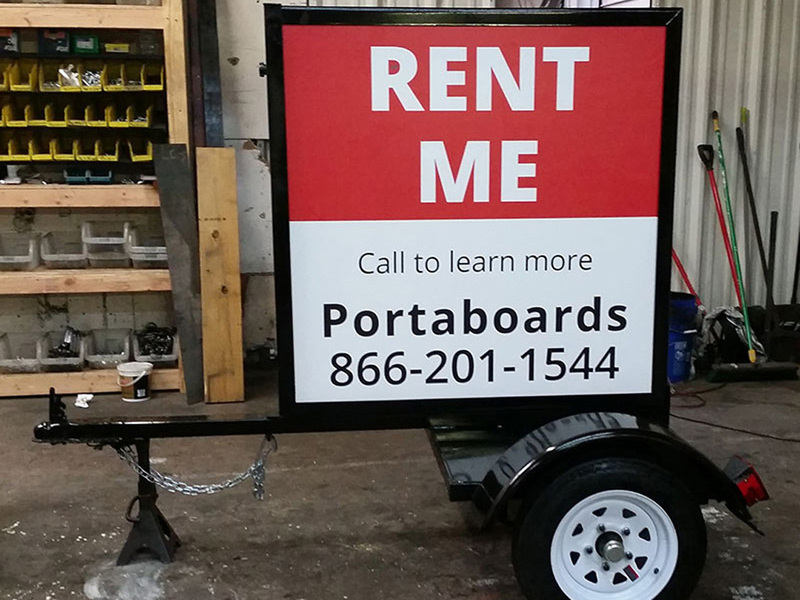 Small and efficient, our lightweight mobile billboard trailers are great for small spaces and tight budgets. 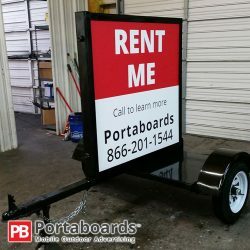 Each of these portable signs features either a self-adhesive or vinyl banner and are available in three sizes. 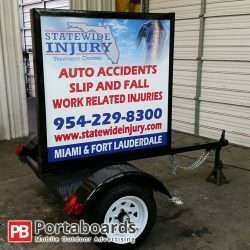 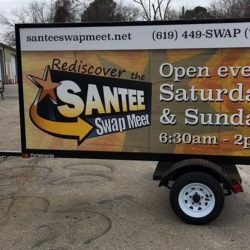 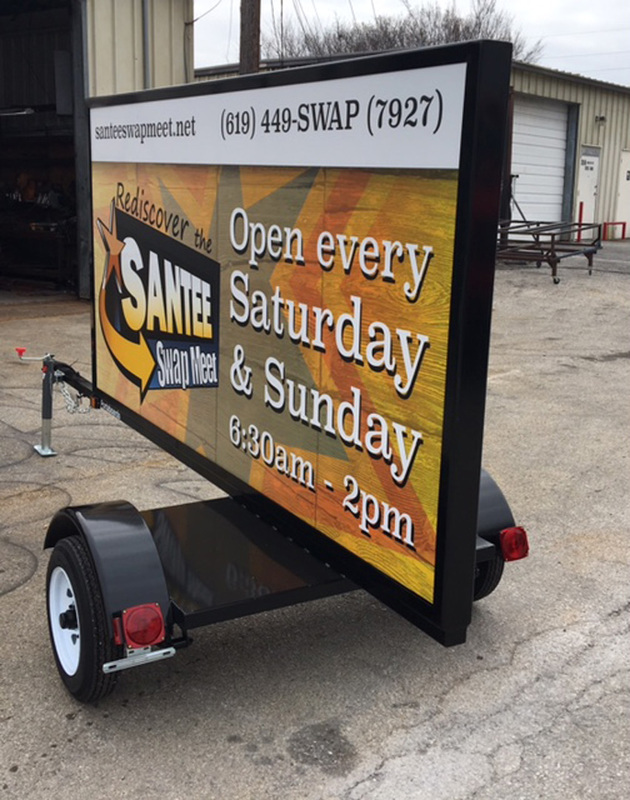 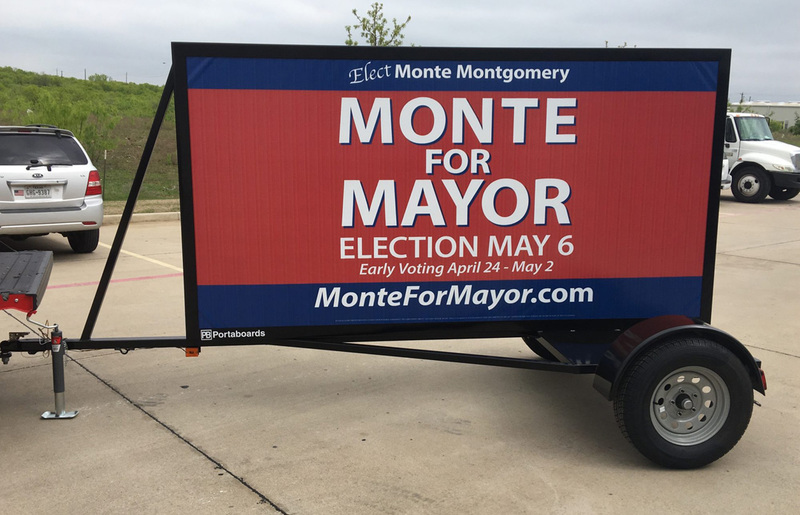 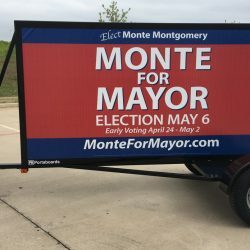 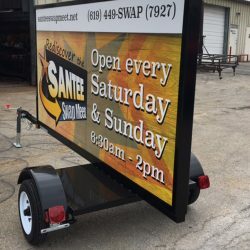 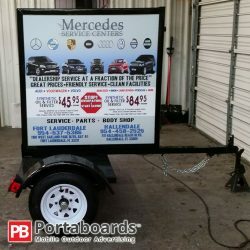 These lightweight mobile billboards are the perfect way to advertise your business or a new product and can easily be displayed and towed behind a vehicle. 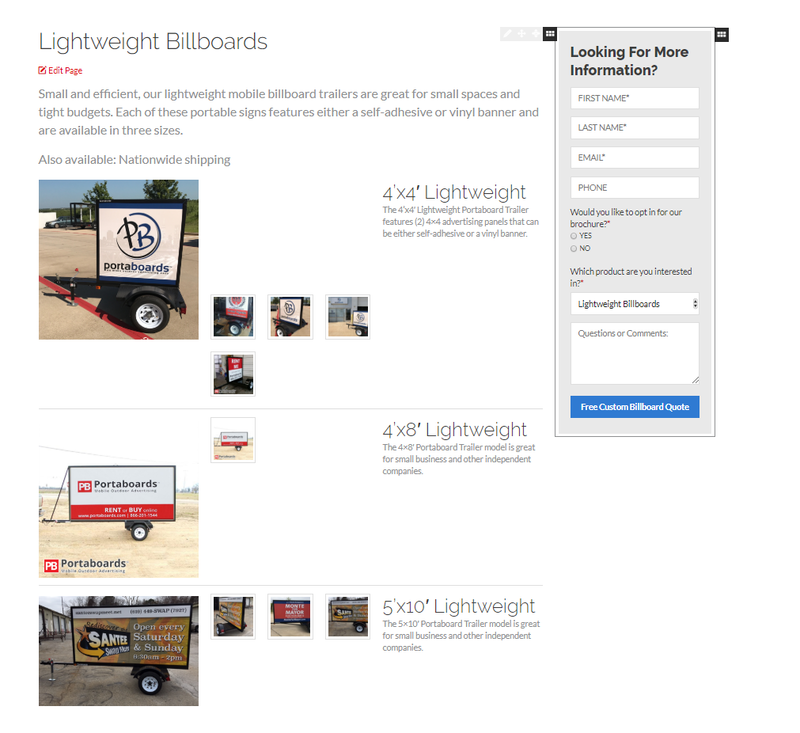 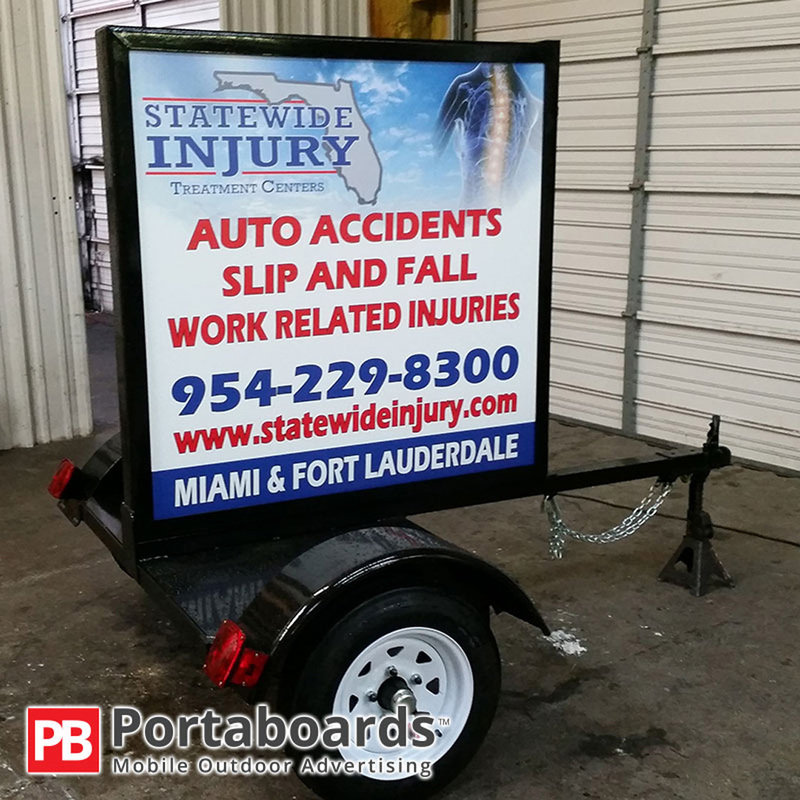 To learn more about our lightweight billboards, be sure to contact us! 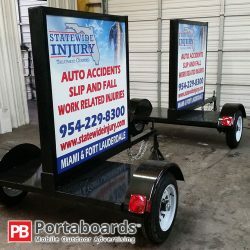 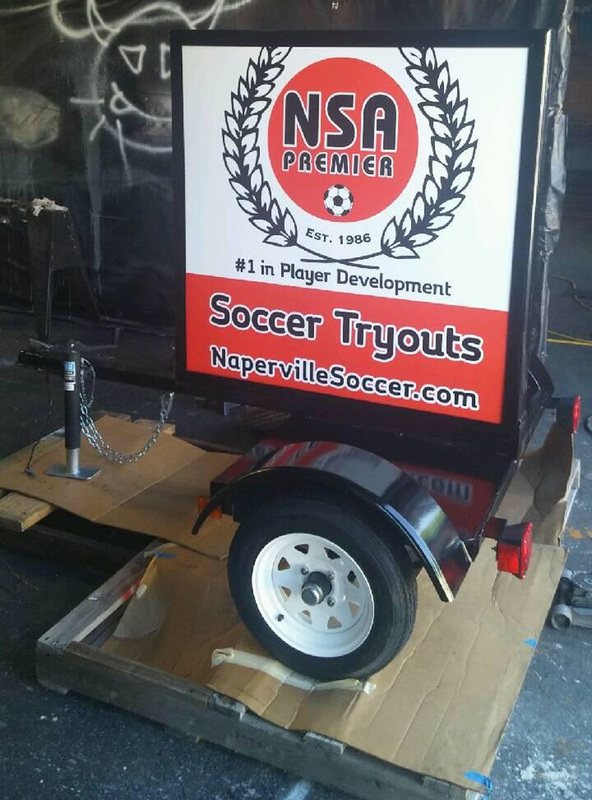 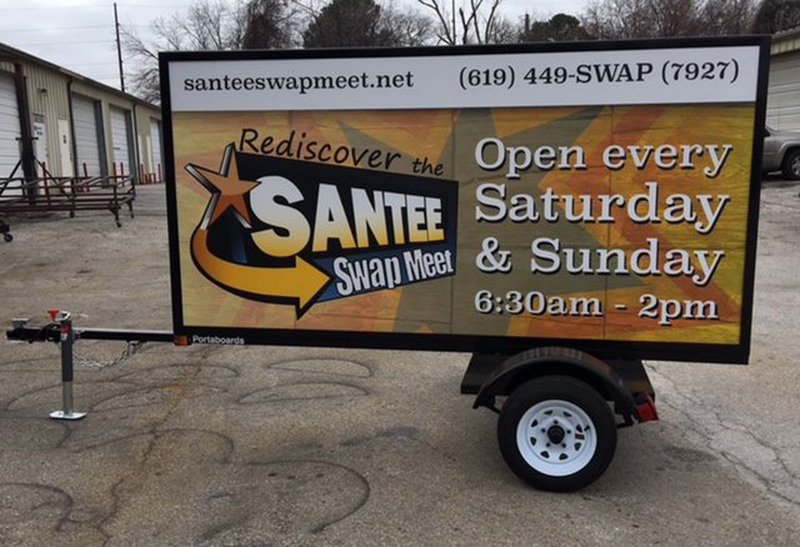 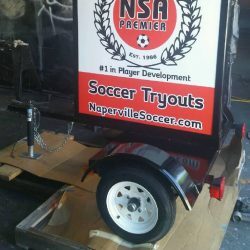 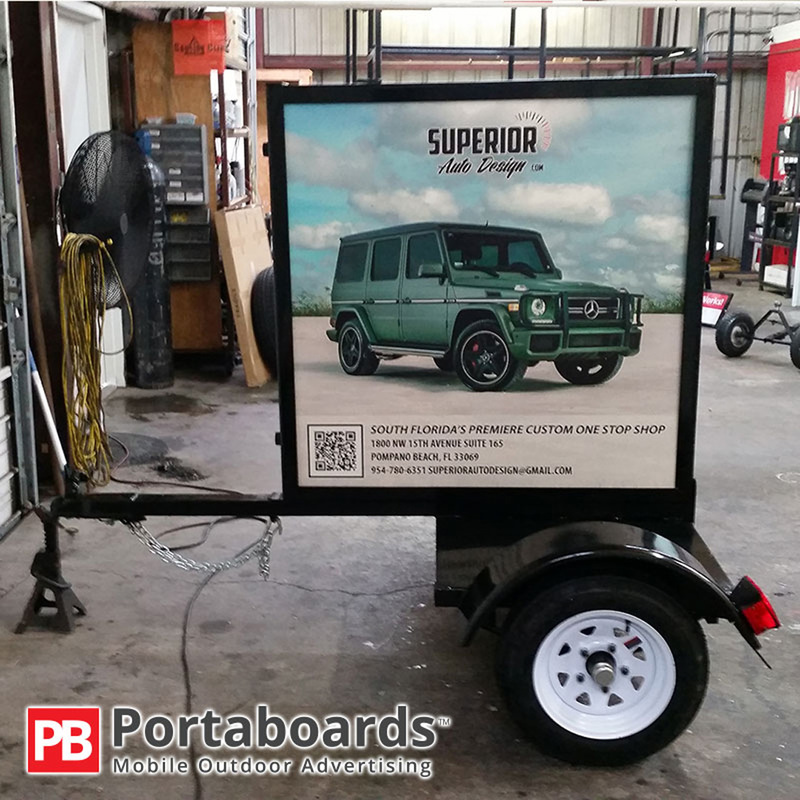 The 4’x4′ Lightweight Portaboard Trailer features (2) 4×4 advertising panels that can be either self-adhesive or a vinyl banner. 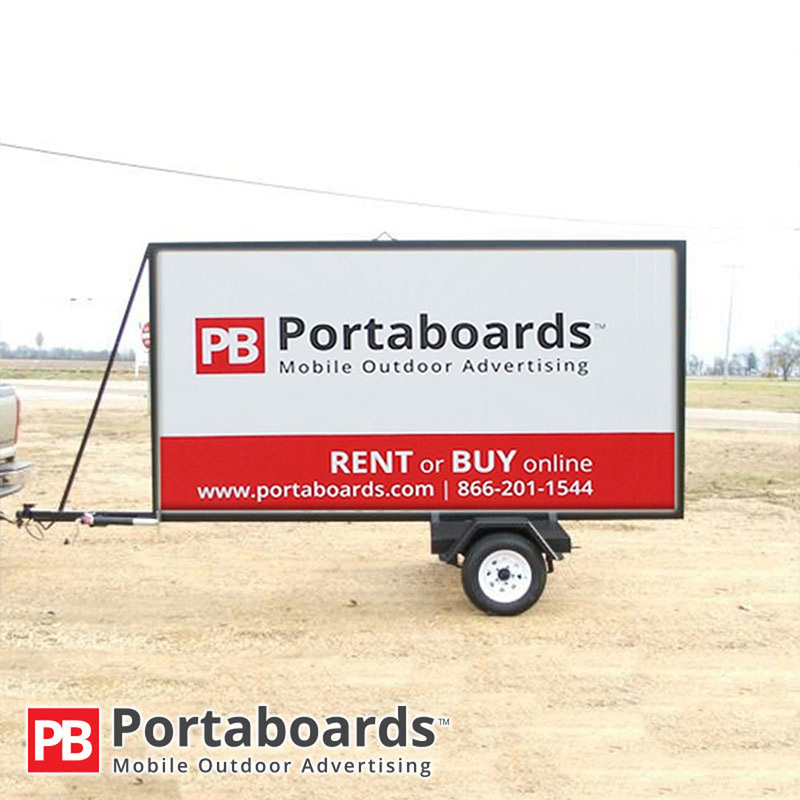 This is the perfect small mobile billboard that makes advertising easy. 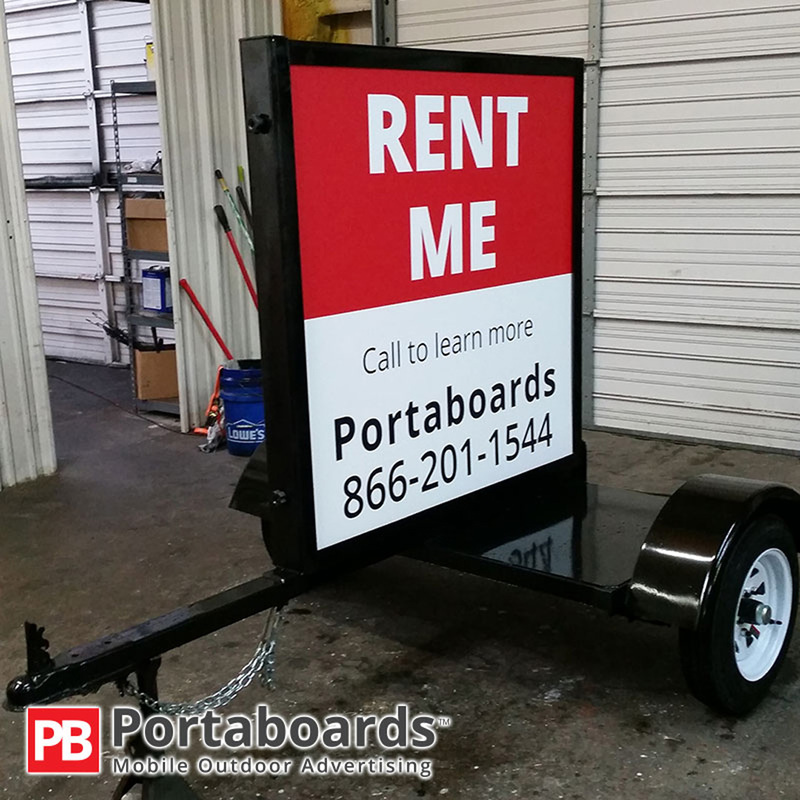 The 4’x8′ Portaboard Trailer model is great for small business and other independent companies. 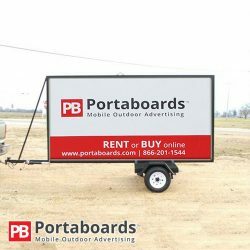 The bigger billboard means more space to advertise your business or product! 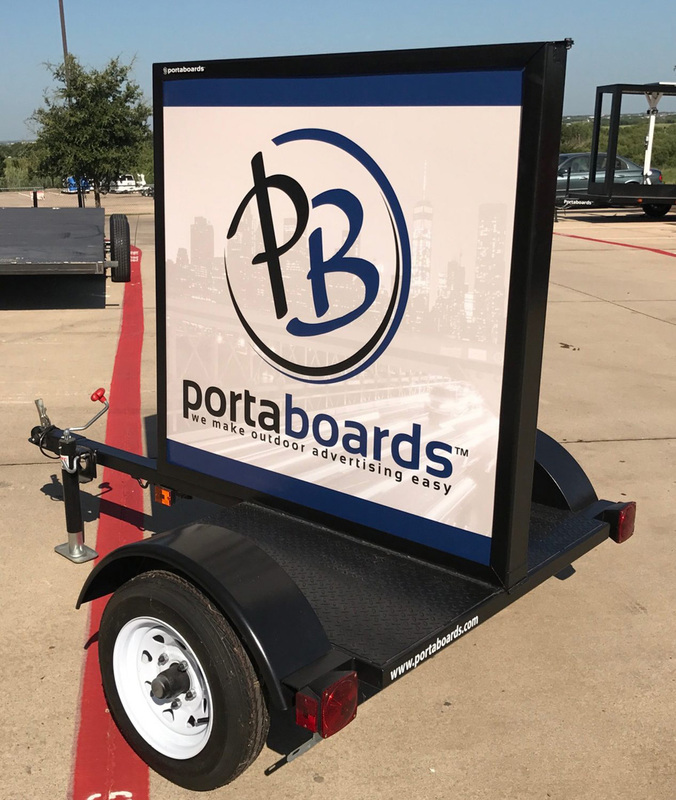 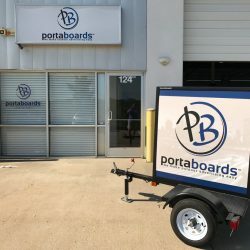 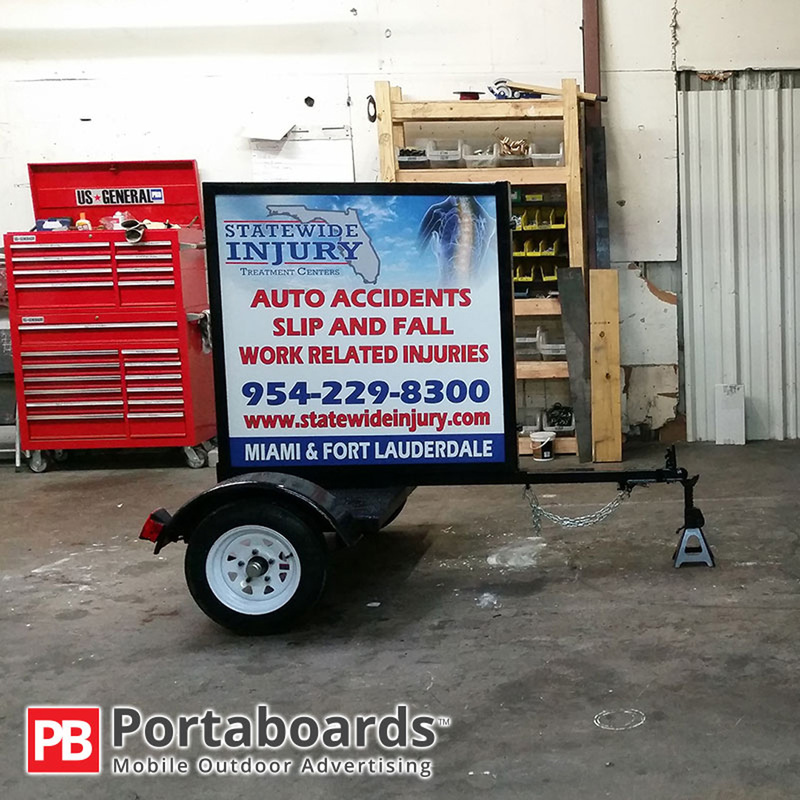 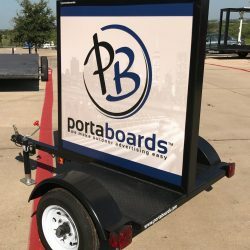 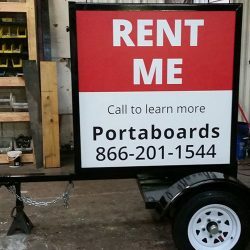 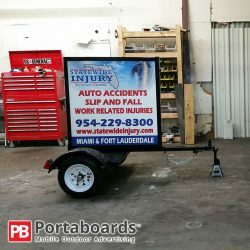 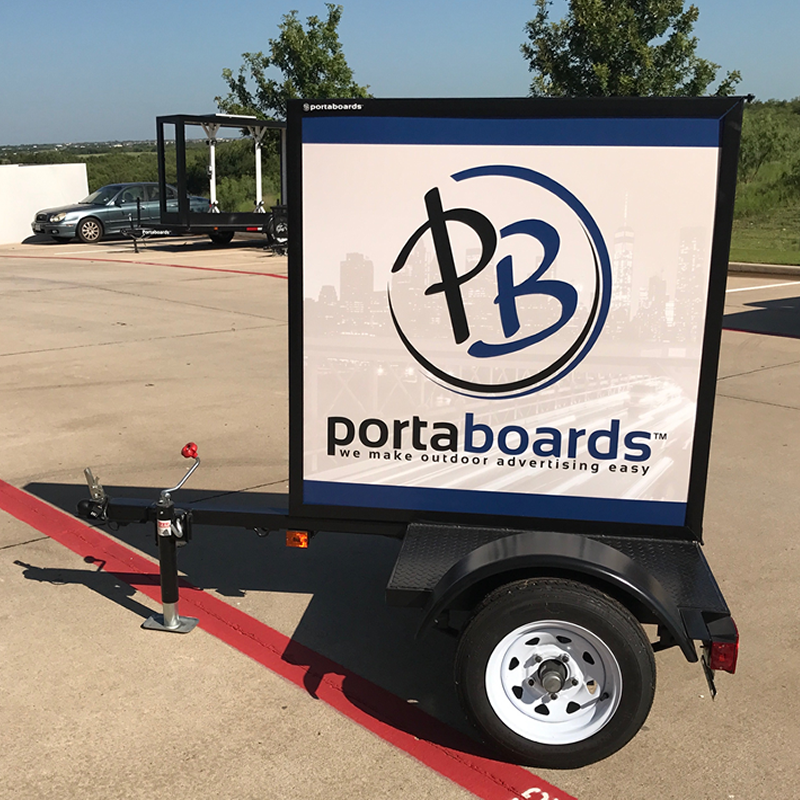 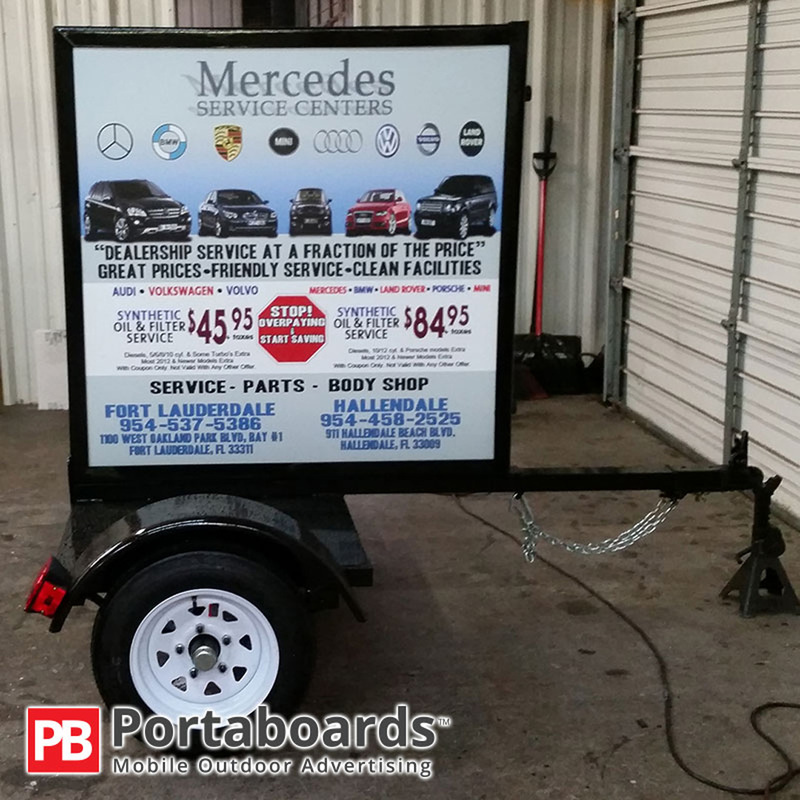 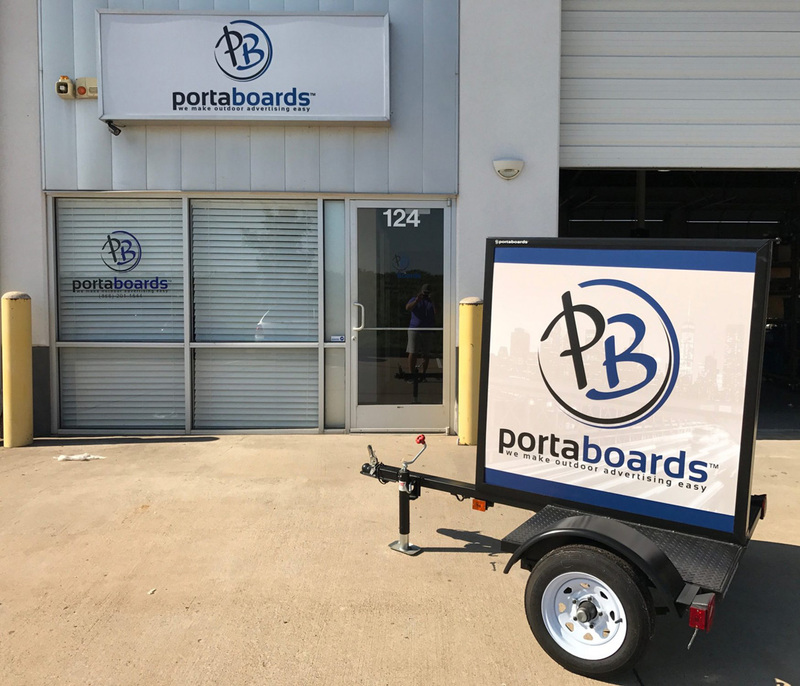 The 5’x10′ Portaboard Trailer model is a great options for small businesses trying to spread the word about their company. This mobile billboard can make advertising simple and effective!